The Belt conveyor is a mechanical material handling equipment that moves material and product from one point to next and one level to another. Its maintenance is easy and it is generally associated with size reduction equipment most of conveying of material is handle by belt conveyor so that it is most suitable equipment for material transfer. Kingson offers a wide range of belt conveyors and portable conveyors. Our equipments are adaptable for all regular crushing plants and mobile crushing units. 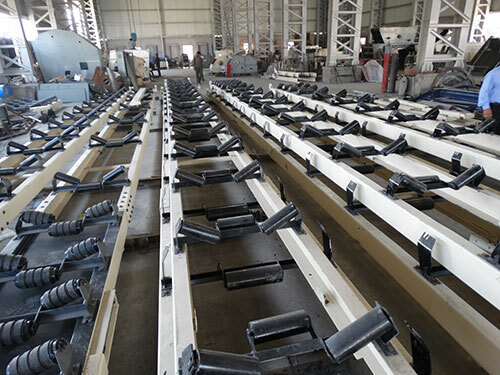 The conveyors are designed according to Operations, such as transportation, accumulation and sorting, the material sizes, weights and shapes and where the loading and pickup points need to be.